When it comes to properly identifying mushrooms, knowing how can be the difference between living a long life and dying soon. Foraging in the woods for mushrooms is an activity that is widespread. It is part of a movement to find local sources for foods. This movement is one that is nationwide and gaining in popularity. For those who enjoy foraging for foods in nature, there are quite a few different types of mushrooms – in North America alone, there are several thousand species of this fleshy food. Out of these different types of mushrooms, most of them are safe to eat but are too insignificant or fibrous to eat. Still, that leaves quite a few mushrooms that are a good choice to eat. The numbers of these are debated by some, but only around 250 of the species of mushrooms found in North America are poisonous. Those numbers mean that your odds of picking a mushroom that is edible and those that are not are heavily skewed in favor of the edible types. Still, people who have experience with growing mushrooms will still tell you that foraging for this type of food is not something that should be taken lightly. You should never just guess. The consequences of guessing wrong when it comes to mushrooms can be harsh. Sometimes, people have even needed a liver transplant from eating poisonous mushrooms. Others have died. In 2011 alone, there were 6,429 cases of people who ate poisonous mushrooms. 2 of them died. This information came from the American Association of Poison Control Centers that is located in Alexandria, Virginia. One danger of foraging for mushrooms is that there are some poisonous varieties that look like ones that are edible. For example, one poisonous mushroom is the green-spored parasol, or Chlorophyllum molybdites. It is the most commonly consumed poisonous variety. When it is still young, it resembles the white button mushrooms that you find in grocery stores. It is also often confused with the shaggy parasol, which is also edible. 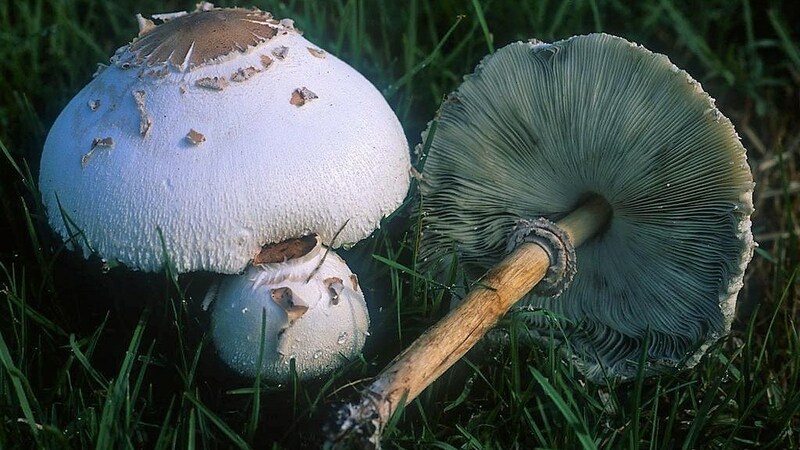 The green spored parasol is commonly found in lawns in the eastern part of North America and in California, and they often sprout after summer and fall rains. Two more very popular and highly desirable mushrooms that you can eat also have look-alikes that are toxic. Morel mushrooms from the species Morchella, are often confused with false morels, which are toxic. Chanterelle mushrooms are easy to mistake for the mushroom known as the jack-o-lantern mushroom. One of the issues when it comes to mistaking non-edible mushrooms for the edible varieties is knowing only enough to be quite dangerous. You have to be aware that looks can be deceiving, such as with the false morels and morels. False morels and morels each have distinct differences in their appearances though. That being said, they all fruit simultaneously, both have an appearance of being dimpled and are both partly hollow inside. However, when it comes to the false morel, it appears to be sort of brain-like on the inside, but the safe morel is totally and symmetrically hollow on the inside. The problem with beginner mushroom hunters is that they tend to be so eager to get their mushrooms that when they locate something that even remotely resembles desirable mushrooms that they tend to see what they want to see as opposed to what they are actually seeing. In other words, they can take a simple rule and then not apply all of the steps that are needed to make that positive identification. Aside from that, the error can be compounded when they don’t follow up and check with their local experts before eating their finds. Additionally, beginners tend to reference the common names on the internet and then click on images provided by their chosen search engine, where many species are not identified correctly. They need to remember that what they find online isn’t always right. Anyone can post anything online. Social media outlets are also a problem. When you search for mushrooms on the internet, you need to stick to those sites that are referenced and high quality. 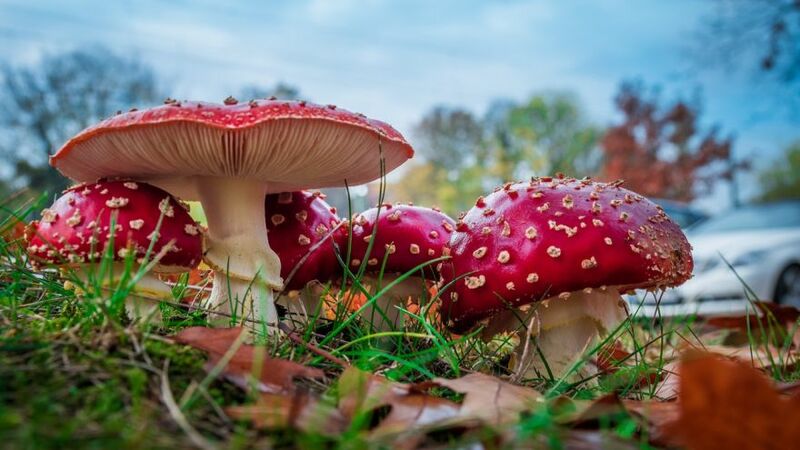 When you are looking for mushrooms in the wild, and you are inexperienced, you should do so in the company of a trusted and experienced mycologist if possible. Yet another issue is a new phenomenon occurring in California with immigrants who pick the poisonous mushrooms because they think that they are the same ones that are able to be eaten in their own countries. For example, immigrants from places like Indonesia and Asia tend to confuse the paddy straw mushroom that is edible and native to where they come from with the death cap mushroom. This is one of the most toxic mushrooms on the planet. Joining a mycological group. These can be found all over the US. And a list can be found here: North American Mycological Association. Purchase a field guide so that you can learn what types of mushrooms grow in the wild in your area. Try to identify the genus of mushrooms you find. Some of the keys to identification include the structure of the base of the stem, what they are growing on, a spore print, and the stem. Take a couple of baskets with you when you forage. Put any mushrooms that you are able to positively identify as ones you can eat in one of the baskets. Put anything you are unsure about in the other basket. Remember that you won’t get sick just from touching a toxic mushroom. Here is a quick look at some of the edible and toxic mushrooms found in North America. Chanterelles are edible. They have a yellowish gold or maybe even a brilliant orange coloring that makes them easy to find while you are trekking through the woods. 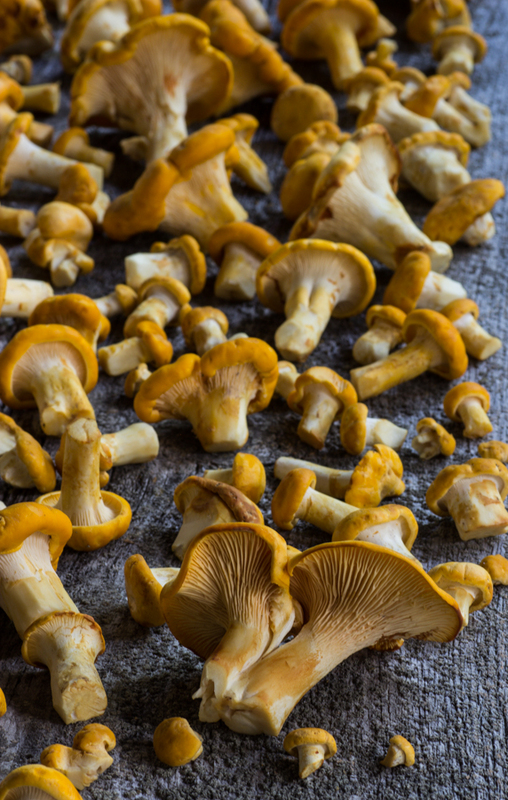 While morels are better known, chefs have a tendency to prize the chanterelle because they have a unique apricot, peach, peppery flavor and because they can only be found in the wild. Where you can find them: These are found on the West and East coasts. When they are mature, the chanterelles on the East coast tend to be about the size of your fist, which is smaller than those on the opposite coast. West coast varieties can weigh as much as 2 pounds. When to look: On the East coast, you can find them from most of the summer months on into the fall. On the West coast, they are found from September all the way until February. Pro tip: If you are on the West coast, look for these mushrooms near conifers. The East coast varieties prefer hardwoods, such as oaks. Habitat: Chanterelles can be found growing in small groups around bushes, shrubs, conifers, and hardwoods. You can also find them in leaf litter in forests in the mountains, as well as among mosses and grasses. 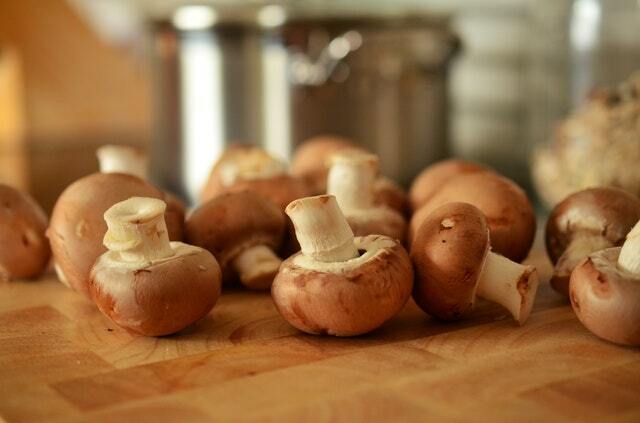 Culinary uses: These mushrooms are meaty and have an appeal for both home cooks and chefs. You can slice them into pieces that have a generous size so that they retain a lot of flavors. You might enjoy them sautéed in chicken broth, oil, cream or butter. They have a distinctive flavor that will do well in stews and soups, as well as with main courses like veal, pork, chicken, or scallops. 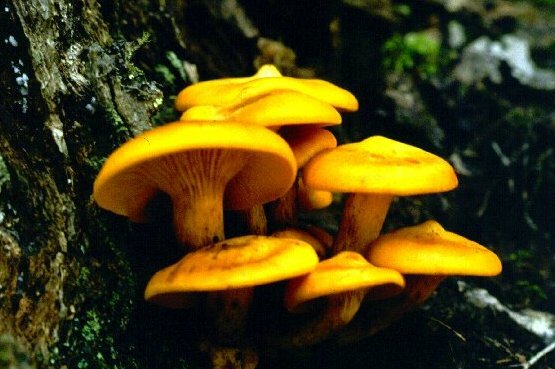 Jack-o-lantern mushrooms are toxic. This is also a mushroom that is commonly found in the US. If you are east of the Rockies, they will be bright orange. West of there, you will find them in California and they will have shades of olive mixed with orange. These can be found even in urban settings growing in clusters right at the base of trees, on buried wood, or on stumps. Differences from chanterelles: When it comes to telling a jack-o-lantern mushroom from a chanterelle, there are 2 main differences. The jack-o-lantern mushroom has true gills that don’t fork descending down the stalk. Chanterelles have gill-like ridges that are blunt and run from the cap to the stem. Also, when you peel the stem of a jack-o-lantern, the insides will be orange. With chanterelles, the inside will be just a bit paler than the outside. Symptoms: If you eat a jack-o-lantern mushroom, within 30 minutes you will experience symptoms that could last as long as 24 hours. They will include diarrhea, cramps, vomiting, nausea, irregular heartbeat, low blood pressure, difficulty breathing, salivation, perspiration, and excessive tears. Morels are edible. They are considered to be the delight of a gourmet and one of the most highly regarded and popular mushrooms in the US. 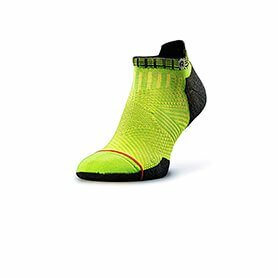 You will find these in colors that go from a cream to nearly black, and they feature a sort of honeycomb pattern that makes them easy to find. Where you can find them: Morels are found in nearly every state in the US. However, they are not native to Arizona and Florida. When to look: If you want to find morels, try the early spring months before the trees begin to leaf. On the Pacific coast, that will be in February. In the South from March to mid-April, in the Northeast try during May. Their peak growing season is from April to May. Pro tip: You might want to carry a cooking thermometer when you go hunting for them. Use it to measure the temperature of the ground. They only fruit when the temperature of the ground is between 50 and 58°. Habitat: Morels are a mushroom that tends to associate with areas that are moist as well as with specific types of trees. They prefer apple trees, conifers, beech, maple, cottonwood, sycamore, hickory, oak, tulip, and ash. If you are hunting for them in apple orchards, be careful because they tend to absorb residue from pesticides, which can remain in the soil for a long time. Culinary uses: Morels have a nutty, earthy, smoky flavor that is unique and prized by cooks across the planet. The darker they are, the stronger their flavor is. One popular method of cooking them is just to sauté them with salt and pepper in butter. Wash them thoroughly, but remember that because they have a honeycomb structure, they might just retain a bit of dirt that you won’t be able to wash out. False morels are toxic. There are about 12 types of false morels in the US. They fruit at the same time as true morels, but also in the summer and fall. 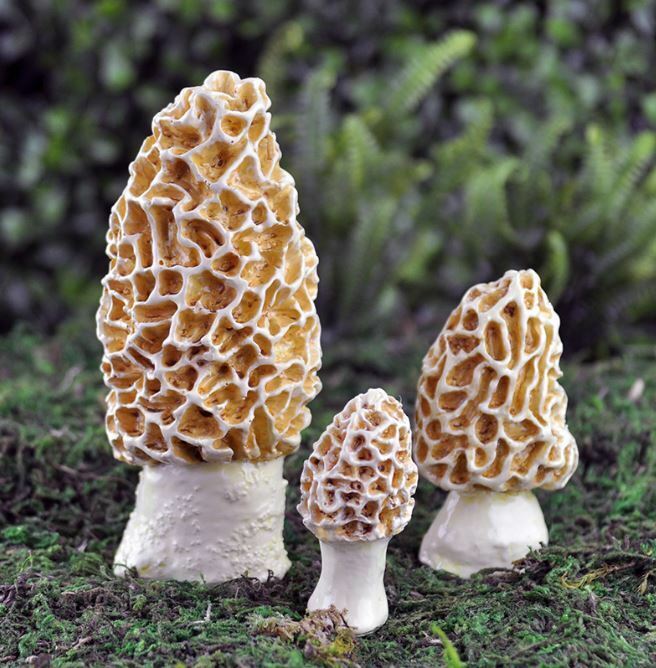 Differences from true morels: People tend to confuse these two types of mushrooms, but they are really quite a bit different. The caps of the false morels have more of a brain like saddle-shaped, wrinkled structure as opposed to a structure like a honeycomb. Also, when you slice them down the middle from the top, morels are hollow, but false morels have an almost cotton ball type substance inside the stems. Symptoms: The false morel is toxic to your liver. 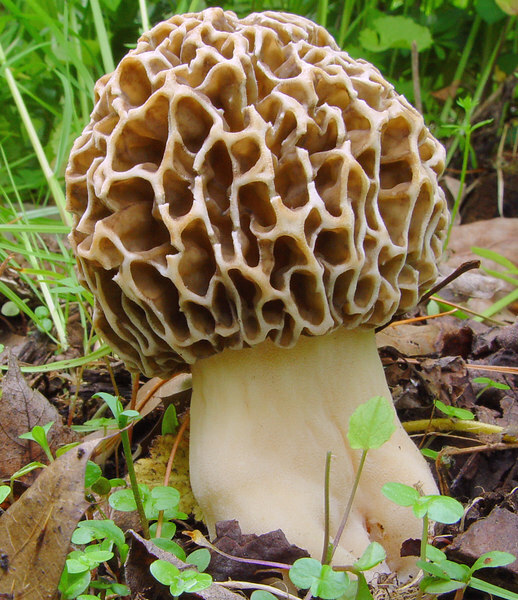 You can begin to show signs of being poisoned by a false morel between 6 and 48 hours after you eat them. Symptoms can include things like fatigue, bloating, muscle cramps, headache, dizziness, diarrhea, abdominal pain, vomiting, and nausea. Mushrooms that are in the genera Amanita tend to be some of the deadliest ones in the world. Here are a few ways to recognize one of them. 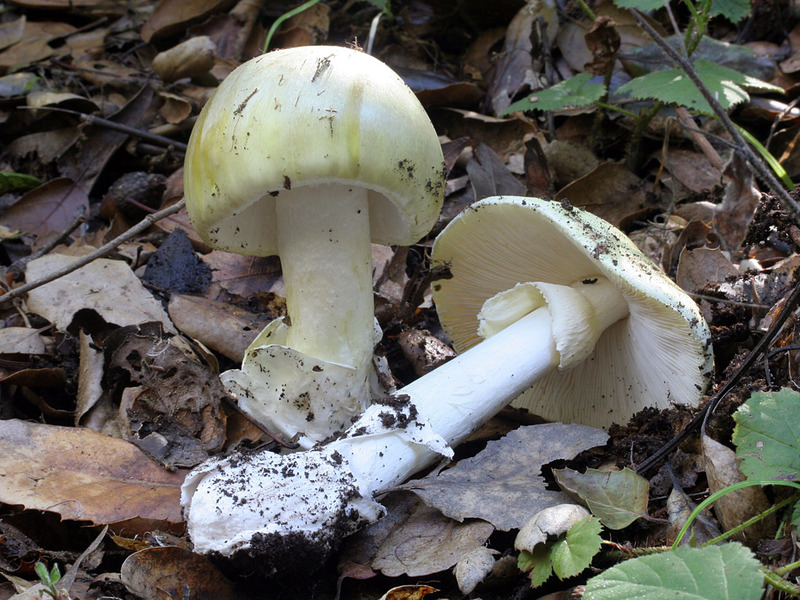 The destroying angels mushroom gets its name from the pure white cap and stalk. They can be found in different regions all over the country. However, they all have the same white fruiting appearance. Description: These are a good-looking mushroom with white gills, stalk, and cap. Can be Confused with: While they are still in the button stage, these mushrooms can be confused with puffballs, horse mushrooms, meadow mushrooms, and button mushrooms. When they are found: These mushrooms fruit in the summer and fall months. 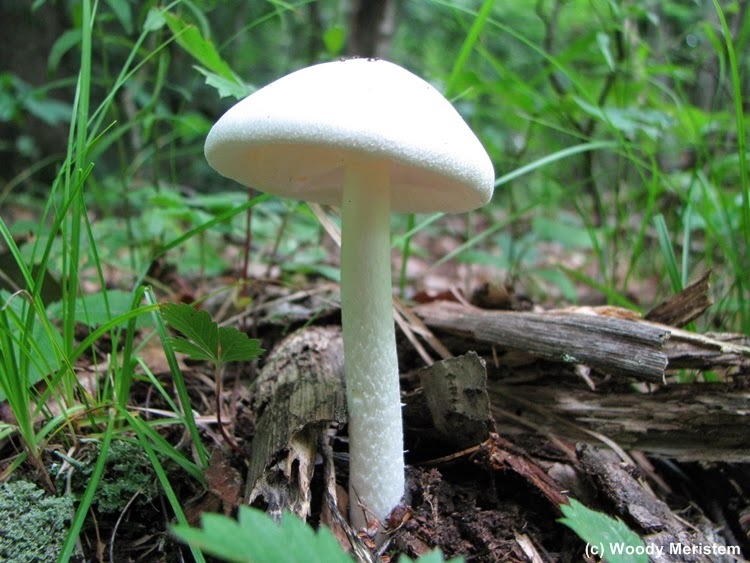 Habitat: All mushrooms in this species tend to prefer certain types of trees. You can find them in meadows, suburban lawns, shrubs, and in or near woodlands. Symptoms: Within 5 to 12 hours after ingesting the destroying angels, you can begin to feel abdominal pain accompanied by nausea and diarrhea. These symptoms will fade though, and you might think that you don’t need a doctor. That being said, in a day or two the symptoms will come back and be worse. However, by that time, it will be too late because you will go into kidney and liver failure and finally go into a hepatic coma that will end when you die. If you do happen to survive, you will need a liver transplant. The bottom line here is that it is great if you want to go foraging for mushrooms. Just be extremely careful and make sure they aren’t toxic before you eat them. WildFoodUK, Mushrooms, Poisonous or Edible? Living Green and Frugally, How do I Tell if a Mushroom is Safe to Eat?